Will Akhila Priya quit TDP? 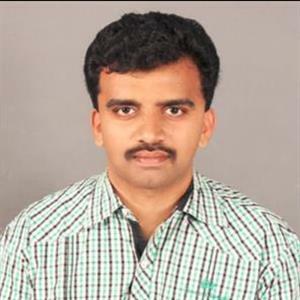 Sri Ramachandra Murthy January 13, 2019 13:00 IST Will Akhila Priya quit TDP? According to sources for the past couple of days, many unconfirmed reports have hit the headlines that AP minister Bhuma Akhila Priya will soon quit Telugu Desam and join Jana Sena Party. Even though Akhila Priya never made any statement regarding the same, the rumors were spreading like wildfire. Meanwhile the TDP leadership is also observing Akhila Priya's every moment who recently sent the police protecting back in protest. Furthermore when talking about these rumors, Akhila Priya opened up for the first time. Akhila Priya questioned "There is absolutely no truth that she is quitting TDP and it will never happen. Why should she leave TDP when it gave her ministry post and immense respect or for supporting the development in Allagadda constituency”. Moreover the minister also said she and her brother Brahmananda Reddy will stick to TDP and win Allagadda and Nandyal constituencies. As per report this brings an end to the Akhila Priya's row which is bothering TDP for quite some time.